One of the more recent additions is the former British Airways Concorde (G-BOAD) affectionately referred to as “Alpha Delta”. This aircraft set a record time in 1996 crossing the Atlantic in 2 hours and 52 minutes. 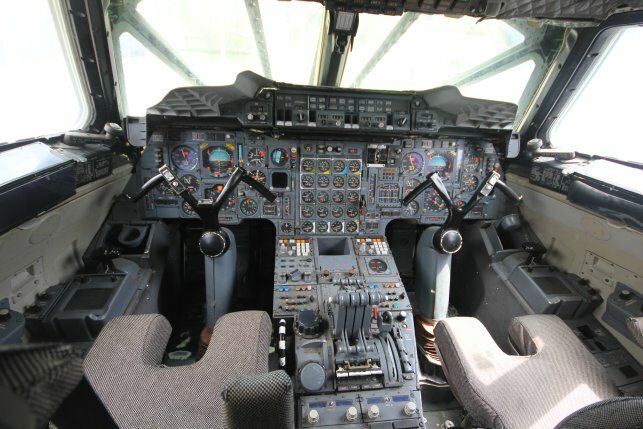 Visitors to the Intrepid Museum can purchase an additional tour to sit inside the Concorde. The tour starts with a history of the Concorde program and then you board the aircraft to sit in the seats and tour the flight deck. Overall I would recommend visiting the Intrepid Museum and adding on the Concorde tour. The fact that you can sit in the seats and go into the cockpit lets you experience, if albeit briefly, a great piece of commercial aviation history. And with the recent arrival of the space shuttle, there is even more to see.